Below are some of the more popular tours and photographic locations for a full day in and around Taos, New Mexico area. Each of these tours will start in the mid morning and run past sunset (weather permitting). Unless otherwise noted below, each tour will begin and end at your hotel in the Ranchos de Taos, Taos or El Prado area. (To Begin tours in Santa Fe I will charge a fuel fee for the extra drive between Taos & Santa Fe). There are no specific photographic abilities required for these tours other than a general knowledge of the workings of your camera. If needed, I will be available to help you with a better understanding of your camera. 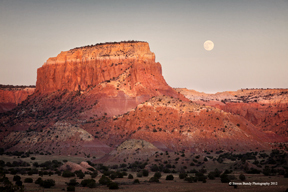 My intension with the tours is to show you the wonder and beauty of Northern New Mexico, and have you go home with some images that you would want to hang on your wall. If you have some specific locations that you would like to visit, contact me for customized tours and pricing. 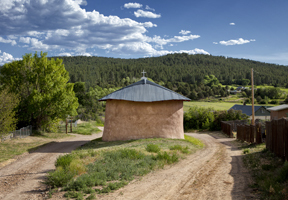 Included destinations: Chimayo Sanctuario, Truchas, Las Trampas, Penasco, Llano San Juan, Placitas, Talpa & Ranchos de Taos. Lunch and transporation from Taos included. Click HERE to request more information or reserve a day long tour. Included destinations: Wild River National Recreation Area, Jaroso, San Luis, Manassas, Antonito, Mogote, and Tres Piedras, NM. Included destinations: Conejos River locations, Cumbres & Toltec Narrow Gauge locations, Antonito, Chama, Cumbres Pass. 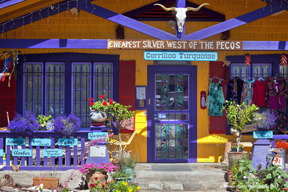 Included destinations: Cerrillos, Madrid, Hippie Cemetery, Golden Chapel, Galisteo, Lamy Railroad Station, Pecos National Park. Lunch and transporation from Santa Fe included.